The lion fountain was designed and created in 1843 by the sculptor Sappey and the smelter Crozatier. The fountain commemorates the beginning of the construction of the right bank quais. 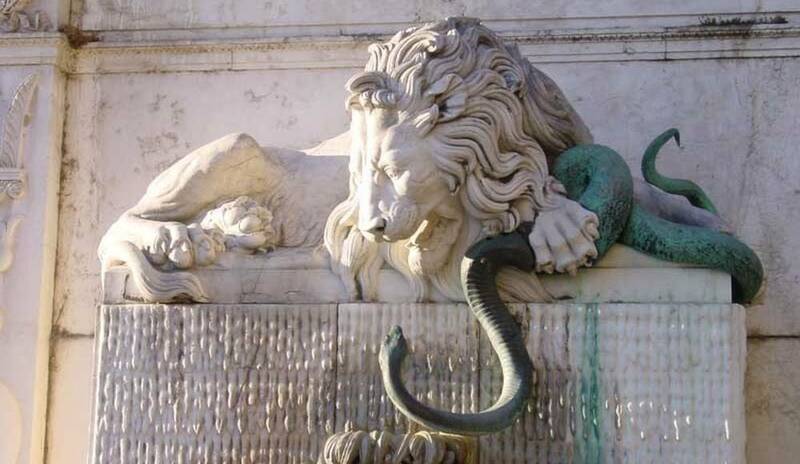 The fountain depicts the struggle between a lion, symbolizing the city of Grenoble, which succeeds in taming the “Ysara,” which is French for serpent. In the early 1950s, a limestone portico featuring the city crest was added to enhance the fountain.